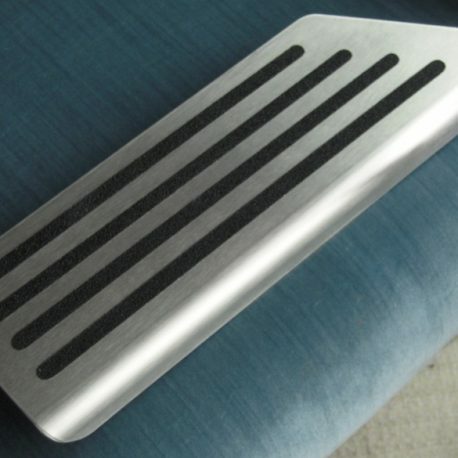 This brushed stainless steel footrest dead pedal provides a rich clean look that brightens up your foot well area. This pedal helps to secure ones driving position during aggressive driving. 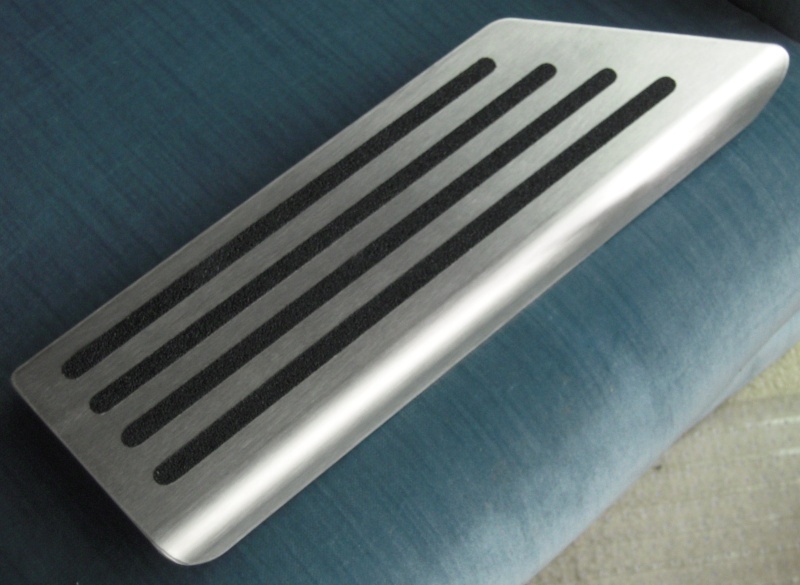 This footrest dead pedal is custom fit to cover your factory vinyl footrest pad. The metal pedal easily attaches with pre-positioned high bond tape. 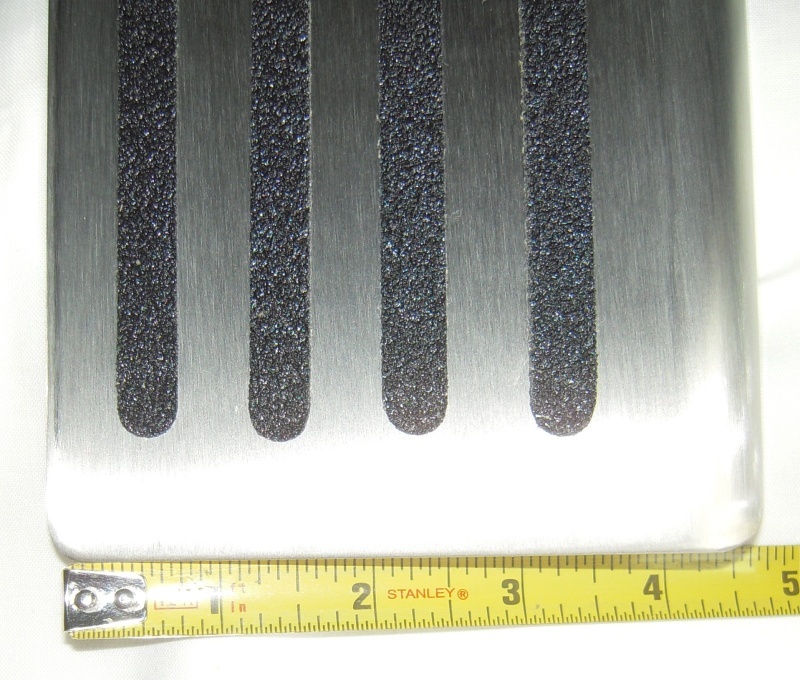 Four “black line inserts” are made from a non-slip material like that found on tread strips on stairway steps or bottom of a bathtub.